In case you missed it, the slideshows for Challenge 89 and 90 have been posted HERE (89) and HERE (90) - check them out, they are awesome. Also, so weird that Blogger decided to delete all of bloggers analytical statistics... if you'll notice, my blog hits are NO LONGER at 500,000+ which is so very sad. Let's hope blogger figures this out soon. What's happened this week? 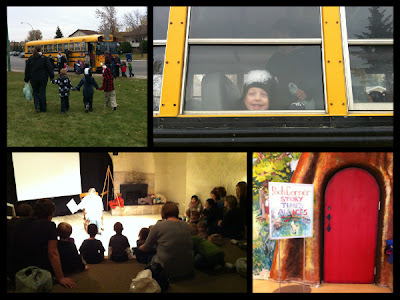 Well - at preschool Chewie got to go on his FIRST EVER field trip. He had a great time. They got to ride a school bus (a first for him) to the big fancy library downtown where they went to Story Time at Pooh Corner. He had the greatest time! For those of you who have been keeping track, if i'm going back to work this week - you'll know that it must be Artoo's birthday soon! 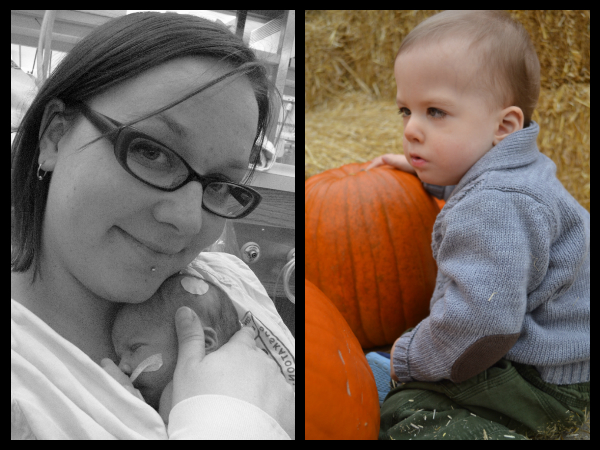 Hard to believe that on Tuesday my little baby boy will be 2! For those of you who are new, Artoo has a rare neurological disorder called Moebius Syndrome. In the past we've done a few Moebius challenges, like using the colour Purple (The Moebius Syndrome colour) or like using the Moebius Logo as a string but i wanted to use Artoo's birthday to bring another organization to your attention. Beads of Courage is a wonderful charity that helps a child with a chronic illness or condition to tell their story of courage and strength as they take their medical journey. Artoo has been a member of the program for a few months now, and i'm still trying to tally and track his journey since birth. 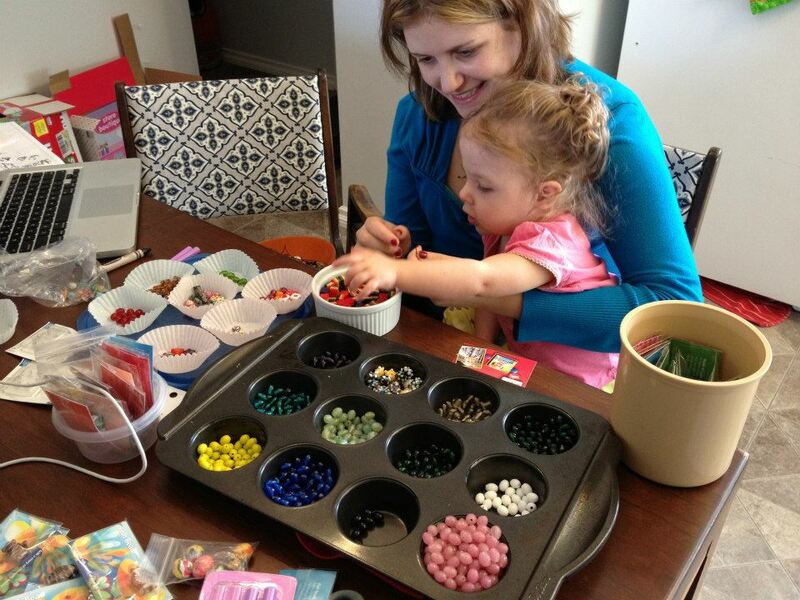 so many beads, this little girl is made of magic. every single bead represents something your child has done - a test, a poke or needle, a procedure, a doctor's appointment, therapy, special accomplishments, an xray, use of oxygen, mobility issues, etc. It's incredible to see what your child has been through in a very tangible way. In honour of Artoo's birthday, and EJ (who turned two in September), this week's challenge is to take inspiration from this program, and these little magic babies. I will leave this challenge open to interpretation. Here's how i did mine. I chose to create a string of Zentangled beads. I'm excited to see how these beads and this program inspire you this week. I will also post this challenge on the Beads of Courage facebook page in hopes that the families on the program will come and see all your amazing tiles!! 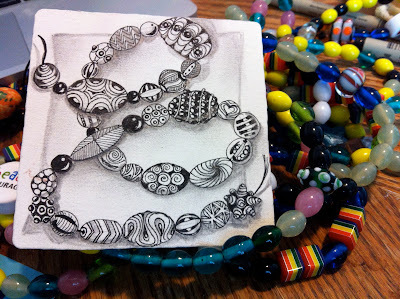 As a side note, if you are interested in creating glass or polymer clay beads for Beads of Courage, (Zentangle or otherwise) please visit this page to see the donation requirements. 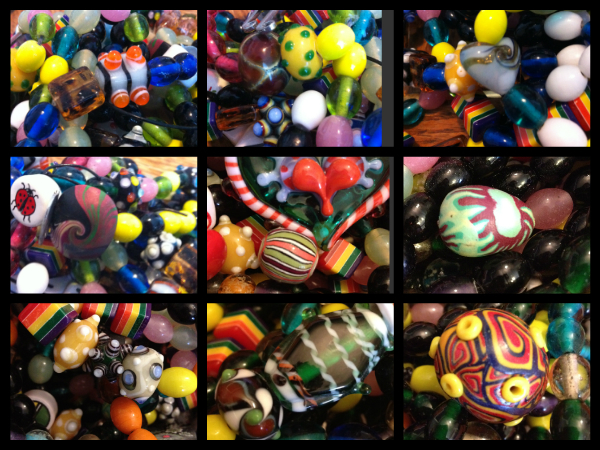 This program relies heavily on bead donations. This a truly neat challenge. I just/went off to read the beads of courage site - amazing. It is such a beautiful idea. Also love the idea for this challenge. I am not sure what I will do yet, but am excited about it! I love the photo of your two handsome young men. Best of luck on returning to work. What a wonderful project! Thank you, Laura, for highlighting it. God bless you and all the parents and children who face such challenges in their life. I know this is a trying time for you, and I wish you the best during this transition. I hope you can let the worry go (tangle tangle tangle!) and just focus on things one day--or one hour--at a time. I remember how I felt and how many of my friends felt returning to work after their children were born. No matter what, you'll know what's best for you and for your family. I hope you enjoy some you time! I absolutely love your tangled beads. They're beautiful. Thank you for giving us such a special challenge this week. I used to have a jewelry business, and I have a lot of leftover beads and supplies. Once I check out the requirements, I'm going to be gathering up my beads to send to Beads of Courage. What a wonderful organization! Creativity and inspiration can really help during challenges of all kinds. Happy early birthday to Artoo as well! Laura, Thanks for the challenge this week... a very special one is so very many ways... Love is all around us... all the time... just ask and it is there... so please send me your snail mail address so I can send you some beads I have made with much love ... and would be honored to have them in Artoo's string of courage. Aww. Great challenge and happy birthday to Artoo. It is so hard to go back to work when you have a baby. Best of luck to you. Great challenge. Did definitely "challenge" me. Have never heard of this before but will try to remember it for my work. Laura, your tile is so gorgeous! No matter how I try I cannot get something I like! Yours is perfect! Happy Birthday to Artoo! I think he is a superman with super mom! Hope you enjoy your job and that Artoo does well in daycare, with no sickness to come his way! Aaahhhhh!! Happy Birthday Artoo! Love your bonza beads and I wish you a happy time at work! Thanks. Was stumped with this one - Your beads are spectacular Laura!! Happy Birthday to Artoo! Sounds like a wonderful program/Organisation for children. Thank you for sharing with us. Have a very nice day, happy birthday. Happy birthday Artoo! What a great challenge Laura. Happy Birthday to Artoo, his big brother and of course his parents. I think this is a great challenge. Thank you for sharing this with us. Turned out to be a very fun challenge - took me places I never would have imagined. Happy Birthday Artoo - and Laura, hope your return to work is going well. Laura, thank you for a wonderful challenge. I enjoyed seeing the boys in their Fall attire, and can only imagine how you would store Artoo's length of beads...maybe across the top of his bedroom window? I am sure that for the most part you will enjoy going back to work and Artoo will be fine, too. Love your tile, Laura. I wish you all the luck in the world as you make this transition back to work. 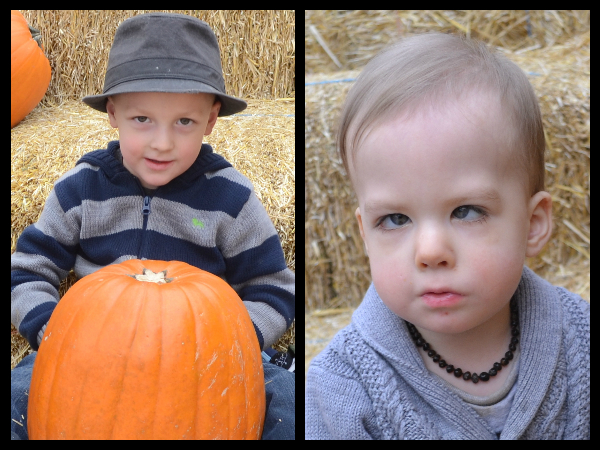 Thanks for sharing the pics of your cute little guys with us every week....love to see them! Happy Birthday to Artoo! Beautiful tile, Laura! And happy birthday to Artoo! Great challenge Laura, and your tile is so beautifully done and displayed! Hugs to the Birthday Boy and inspiration for all of us! I'm full of admiration for how you handle all you go through, and now you're back to work - a "new" step in your journey that I'm sure will bring you it's own positive energy. Whew, made it! Happy birthday, Artoo! Thanks for the challenge this week! Love the great pictures of the boys and what a wonderful challenge in honor of your precious Artoo! Good luck in your transition back to work. Many good thoughts are coming to you. This was a wonderful challenge. These beads are for the whole family as everyone is involved. I know I am late, but we have been out of town and I love this challenge so I wanted to participate even though I know I won't be in the slideshow. Such a good cause! !